New York, NY. Publisher: McGraw-Marden Co.; The Success Co.. Editor: Orison Swett Marden. 1/1, 1897-1912. A successor of the journal is still being published currently. This was the work of Orison Swett Marden (1848/1850-1924), and was an attempt to combine a general circulation illustrated magazine with the success side of New Thought and the self-help movement. It claimed a circulation of half a million, which may be correct. 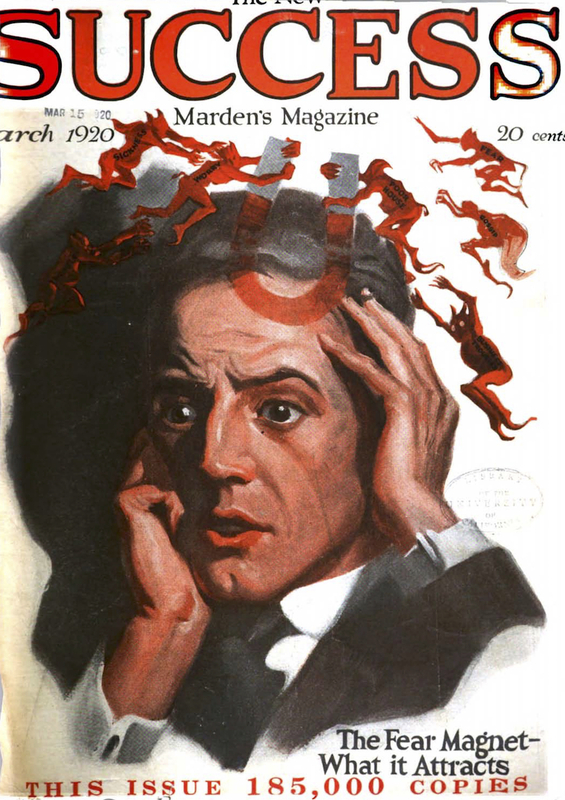 The leading competing journal, The Nautilus, reported in February 1905 that the circulation of Success was then 300,000. The journal foundered at the end of 1904, and was reorganized with a new publisher from 1905-1911, then appeared in conjunction with The National Post until ceasing in 1912. Marden revived it under the original name (and called New Success/Marden's Magazine) in 1918 and ran it until his death. Marden had started his publishing career with the Centennial Eagle, in Philadelphia in 1876 (24 pp., 12 issues), devoted to the American centennial. NYPL; Buffalo and Erie County Public Library; NYS Historical Association; University of Colorado, Boulder; Harvard University; National Library of Scotland; University of Texas, Austin; and other locations in OCLC. University of Queensland microfilm. New York, NY. Publisher: Lowrey-Marden Co.. Editor: Orison Swett Marden. 1/1, 1918-1926(?) This was the successor of the original Success Magazine founded by Orison Swett Marden (1848/1850-1924) in 1897. It seems to have survived only a few years after his death in 1924. LOC; NYPL.